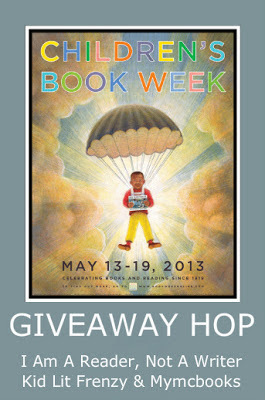 Laurie Here - Contemporary Fiction and MORE - Book Reviews: Children's Book Week Giveaway Hop! May 13th to May 19th, 2013! Come on over and enter to win some GREAT children's books! Children's Book Week Giveaway Hop! May 13th to May 19th, 2013! Come on over and enter to win some GREAT children's books! Thanks to our Sponsors, I Am A Reader, KidLitFrenzy and MyMCBooks'sBlog! What is Children’s Book Week? Established in 1919, Children’s Book Week is the longest-running literacy initiative in the country. Each year, books for young people and the joy of reading are feted for a full week with author and illustrator appearances, storytelling, parties, and other book-related events at schools, libraries, bookstores, museums, and homes from coast to coast! To ENTER this wonderful Blog Hop, Please click HERE!